Serious Question: What Is Demi-Permanent Hair Color? However. Just because we leave the painting and mixing to our favorite colorists doesn't mean we're not curious about the process. (We're pretty much hardwired to crave all the juicy details when it comes to what's happening on our heads.) And lately, we've been confused about something: What is demi-permanent hair color and how is it different than semi-permanent hair color? We've been receiving some mixed signals on the matter, so we decided to get to the bottom of it. So if you've ever wondered what demi-permanent hair color is, how long it lasts, and more, you're in luck. 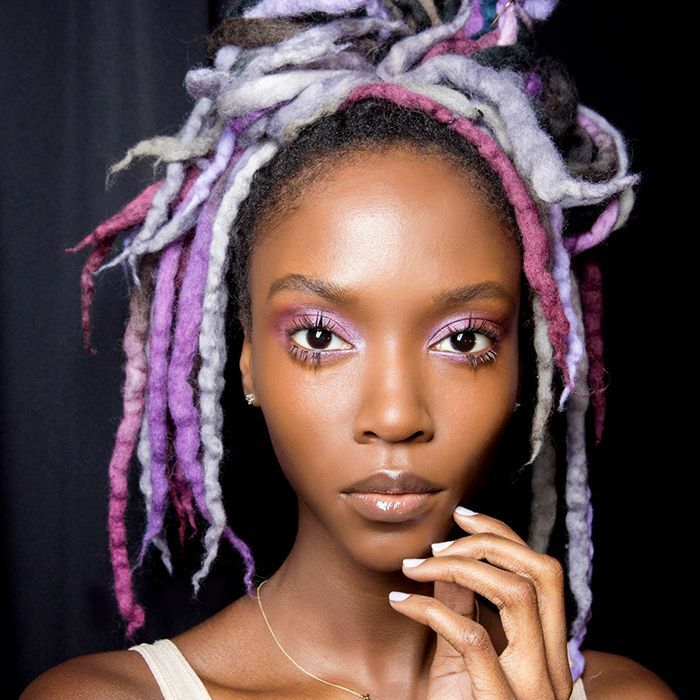 Keep reading as three expert colorists sound off on the topic and answer all our burning questions. First and foremost, it's important to differentiate demi-permanent hair color between crème and liquid formulas. According to Zoë Carpenter for Joico, a crème demi-permanent hair color is an alkaline, ammonia-free product that comes in a variety of shades and has the ability to either cover gray hair or blend hair color in a safe and natural manner. (In other words, it's not nearly as harsh as permanent hair color since it doesn't actually lift your base.) "This technology allows a wide range of hair color choices with lots of depth and dimension," Carpenter iterates. On the other side of the spectrum, demi-permanent liquid color is a bit different. "A liquid formula is great if you want to tone, blend, and add shine," says Carpenter. "It's also customizable so you can make it as sheer or as subtle as you'd like. It's the perfect antidote if you're a bit color shy or are new to color entirely." So how is it different than semi-permanent hair color? "Unlike demi-permanent hair color, semi-permanent hair color is a deposit-only formula and won't require a developer or any level of peroxide," clarifies Dove hairstylist Cynthia Alvarez. "The color coats the outside of the hair and changes the tone rather than the color. This type of color usually lasts between five to 12 washes. Semi-permanent color is also commonly referred to as a stain, gloss, or a toner." In addition to being an excellent option for women with textured hair (it won't alter or damage your curl pattern), Alvarez explains a few other key benefits of demi-permanent hair color as well: "Demi-permanent hair color results in a more obvious change for someone who wants to avoid damage or anything that's going to look like an ultra-dramatic change." 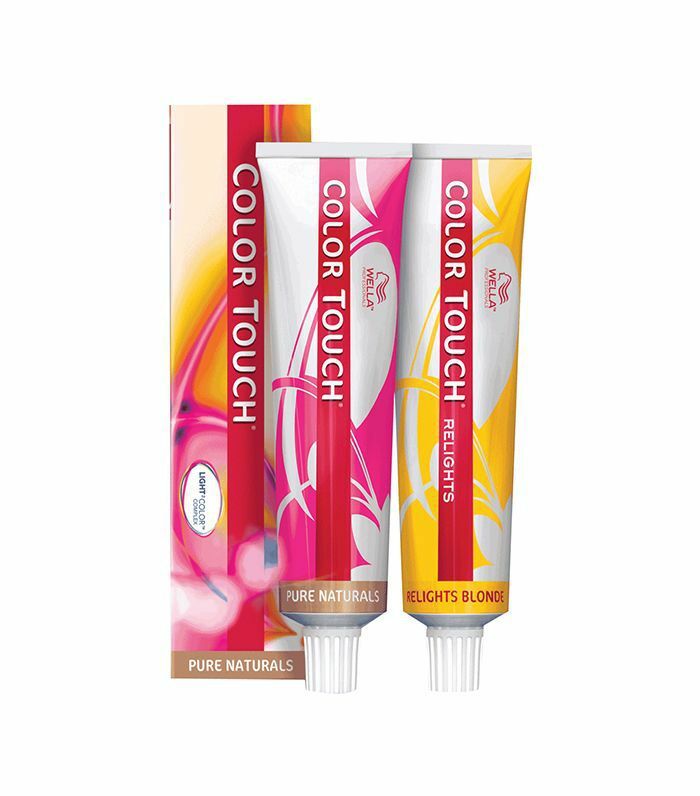 As mentioned, this kind of formula doesn't contain any ammonia, but it does have just enough peroxide to open up the hair cuticle so that a suitable amount of color will be absorbed. However, if you're looking to lighten your hair, demi-permanent probably isn't the way to go. "It does a better job of darkening hair than semi-permanent does, but it doesn't lighten hair," Alvarez confirms. Demi-permanent hair color will fade and typically last 12 to 24 shampoos. Good to know. In addition to opting for an in-salon solution like a Malibu Treatment (a recommendation from Nine Zero One colorist Nicole Zeal), Alvarez also suggests regularly using a clarifying shampoo as a safe way to remove unwanted demi-permanent hair color. 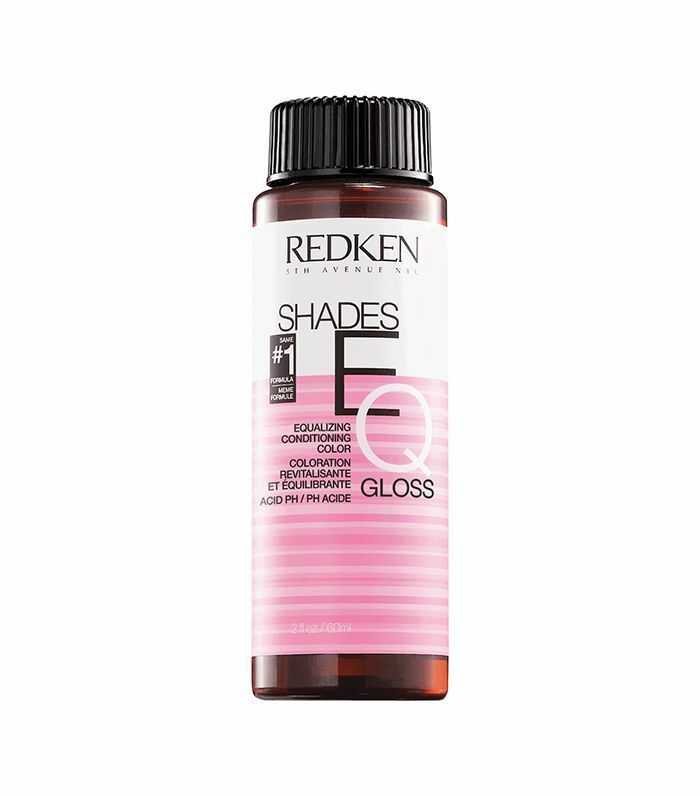 "You can accelerate the fading process of a semi-permanent color by using a clarifying shampoo a few times a day. These shampoos are meant to strip your hair of all products and will quickly fade your color. If you don't have a clarifying shampoo handy, you can even use an anti-dandruff shampoo like Dove's DermaCare Scalp Invigorating Mint Shampoo ($5) to fade your color faster, if used repeatedly within one day." "If you want to dye your hair at home, you're going to have a lot more leeway with a demi-permanent color," explains Alvarez. "Since the color won't be so dramatic, you won't have to worry about applying the dye perfectly. If you've never dyed your own hair before and are worried that you'll mess things up, you should definitely start with a demi-permanent color. You can always switch to a permanent dye later on if you liked the results." Keep scrolling for a few of our experts' top product picks. 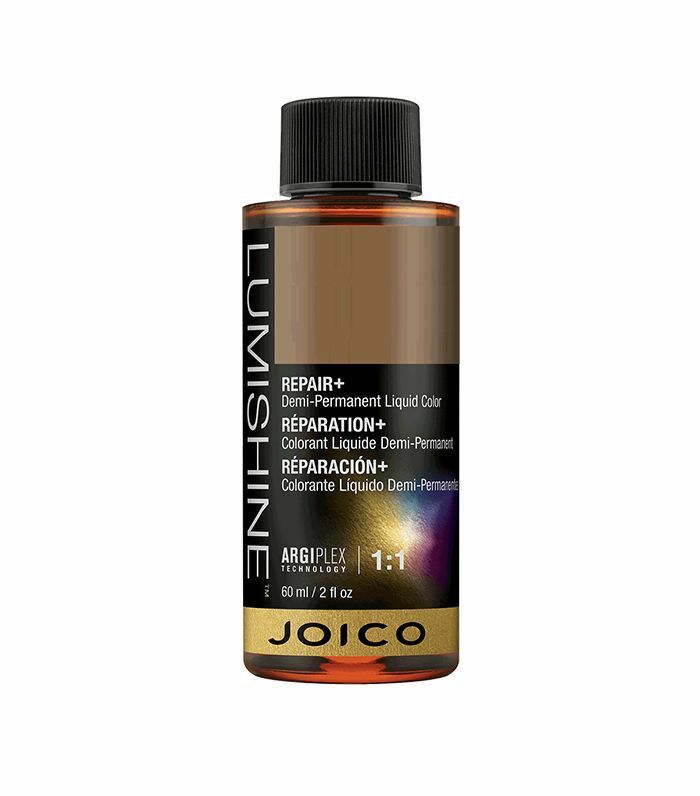 One of Carpenter's favorites, she says this pick from Joico boasts Argiplex—a key bond-building ingredient that restrengthens hair while simultaneously boosting it with maximum shine. This vibrant demi-permanent hair color by Wella offers ultimate shine, tone, and color sans commitment and damage. It's one of Zeal's preferred choices for gorgeous pigment. Extremely hydrating (due to a helping hand of strengthening wheat amino acids), this pick from Alvarez delivers unparalleled shine (thanks to shimmer-inducing silicone) and a non-harsh, hair-safe formula.